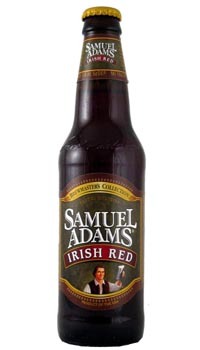 Pours a dark amber color with some hints of red, generating a very healthy tan head with superb retention. Very tight lacing leaves some sticky rings on the glass. Frothy head remains even after a long duration. Aroma is of creamy malts with some sweet caramel notes of moderate strength. Initial taste is surprisingly sweet for a red with some nice malt notes, moving to only ever so slightly bitter at the finish. Medium bodied, it has a creamy texture with some gentle carbonation. Very tasty, much better than mainstream Irish-style red beer, with much more complexity, less bitterness, and a touch of sweetness.